You’re no Donna Reed–and that’s okay by me. It is said of the classic movie stars that they were people you liked spending time with. The knock on the Cary Grants and John Waynes, of course, is that they were just playing themselves, playing the same role again and again. There’s much truth in that, but there’s also something to be said for consistency of performance–and for plain old personality. I was reminded of this recently while on an extended road trip. I had inserted a DVD of Anatomy of a Murder into my laptop so I could watch it whenever I had some down time. As it happened, I ended up watching a 160-minute movie over the course of a week. That doesn’t sound like much of an endorsement for a film, but Anatomy felt more like a tightly-written thriller than you enjoy returning to again and again. (You also end up re-watching scenes repeatedly, as you might reread a page where you have a bookmark.) 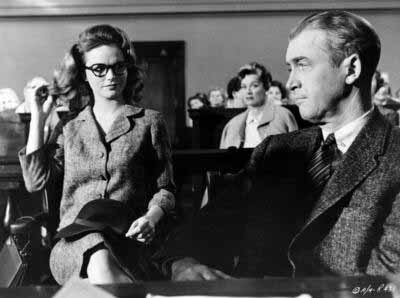 The main reason why I was in no hurry for the film to end was Jimmy Stewart. Anatomy was one of the more notable transitional films in Hollywood, situated between the passing glory of the studio system and the bolder, brasher cinema of the future. Stewart had been a star since the late 1930s and he shared the screen with method actors like Gazzara and a live-wire such as George C. Scott, who plays a prosecutor from the “big city” (in this case, Lansing, Michigan). Laurence Olivier was famously contemptuous of the Method–and Scott, interestingly, felt similarly. But what strikes you about Anatomy is how Stewart does more than hold his own against Gazzara, Scott, and a hot-blooded, enticing Lee Remick, he wins the match. He holds the picture together with such a calm and knowing authority, effortlessly in command of both his character and his onscreen persona–despite having to talk of such matters as “spermatogenesis.” He’s the man who keeps his head while those around him lose theirs. It’s funny. I wouldn’t count Stewart as among my favorite actors, yet he’s all over my DVD collection. 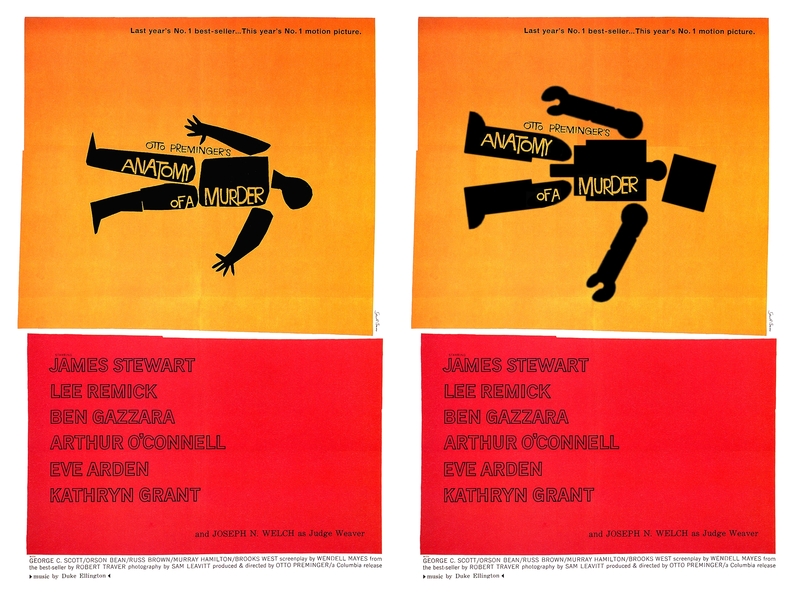 And while he’s considered an ambassador from the classic studio days, among his most compelling work came in the late 1950s, working for Hitchcock, Mann and, as here, Preminger. 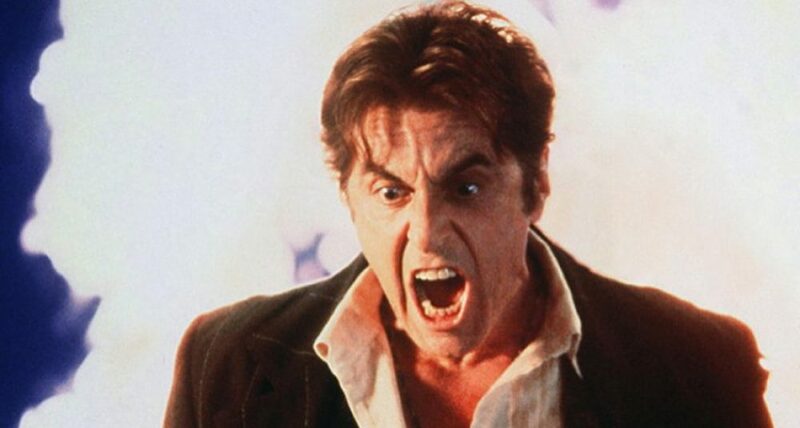 Courtroom movies inevitably offer opportunities for, well, theatrics, and unlike, say Paul Newman in The Verdict (1981) (a favorite) and Pacino in And Justice for All (1979) (a soon-to-be subject of this blog), Stewart largely resists the temptation. As the great film writer David Thomson noted, Stewart in Anatomy demonstrates that his well-known folksy demeanor, later the subject of much imitation by the likes of Dana Carvey, was something he could switch on and off. Truth be told, he shed that skin in World War II, when he was piloting bombers. Here, he slips in and out of it, more for the sake of the jury than the audience. Anatomy remains one of the most technically precise trial movies ever made; it was used as a teaching tool in some law schools for years. But it’s also a graduate-level class in various approaches to acting. Add a vibrant Duke Ellington score and a tart ending and you have a film that should enjoy more recognition that it gets. This entry was posted in My DVD Shelf, The Pantheon of the Underrated by James Oliphant. Bookmark the permalink.